Codshark -- great for fish lovers, card lovers, or both. In Cape speak this should really be spelled Cod Shock since that's how people in New England pronounce card shark. There's also the obvious reference to the poster for JAWS. The card is printed on heavy matte white stock, and is packaged in a cello sleeve with envelope. The inside of the card is blank. This design is also available as a print in 5x7, 8x10, 11x14, and 16x20 inches. Please email or convo if interested. 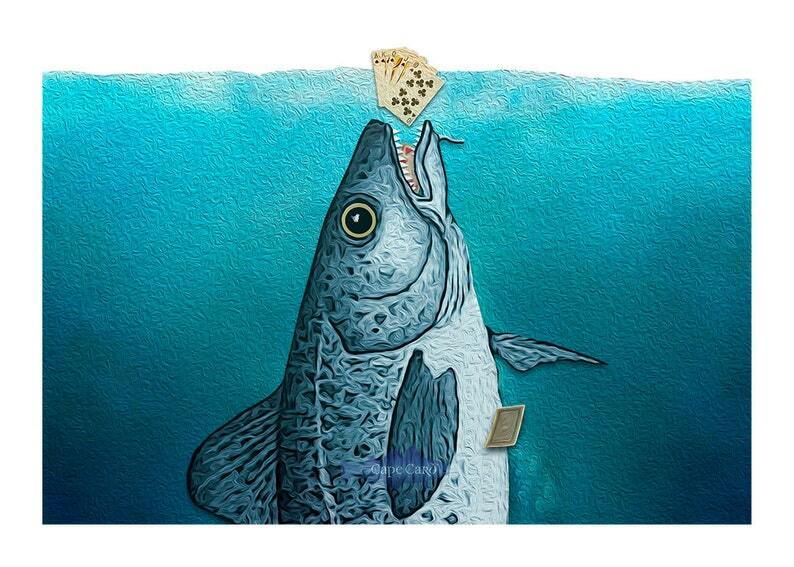 Codshark copyright © 2013 by Andrew Newman for Cape Card. All rights reserved. The Cape Card watermark will not be on actual printed card.